Few places elicit the “It’s the most beautiful city I have ever seen!” reaction as frequently as Istanbul. Those were also my exact sentiments the first time I visited back in 2004. Today, 15 years later, as I stroll the empty streets of downtown Istanbul in the middle of the night, I remember why I have ever since felt this way. I contemplate the marvelous architecture, reflect upon its unparalleled history, think of its unique role bridging east and west. And the food, oh the food! There simply is no other place in the world like it. There cannot be. 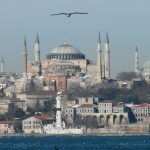 Istanbul is as incomparable and magnificent a city as one can possibly imagine. Turkey’s mega-city both literally and figuratively straddles the European and Asian continents. For millennia, it has bridged two different worlds. One can find everything that makes a city great – incredible food, ancient and modern history, a mix of cultures and religions, art and architecture, and of course, its residents. There are few other places where you can meet people who are simultaneously European and Asian. 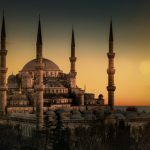 Istanbul also separates the Mediterranean and the Black seas, making it one of Europe’s most important historic trading ports. The Golden Horn, on the European side, is where 99% of tourists focus their time. Rightfully so as it is the core historic center containing numerous UNESCO World Heritage Sites. 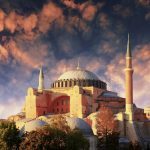 After the collapse of the western Roman empire, Constantinople (Istanbul’s former name) carried forth the mantle and legacy of Christianity. The grandest basilicas, the largest hippodromes, the greatest trading ports were all to be found here. In later years, the Ottoman Turks added their own indelible mark. That mix of history and culture is fused throughout the city, creating a rich tapestry of Asian and European traditions. Topkapi (the “Cannon Gate”) Palace is the traditional home of the Ottoman sultans. It was built by Sultan Mehmet the Conqueror in 1459 in the classic central Asian style of large courtyards encasing progressively smaller ones, each cordoned off by a high protective wall. Access was increasingly restricted according to rank and title. Eventually, only the sultan and his most senior advisors were permitted into the most interior yards. Topkapi is ornately designed in the traditional Ottoman fashion, unmistakably Asian inspired. For travelers tired of the steady diet of repetitive medieval European castles, Topkapi introduces welcome variety. The palace offers a number of interesting exhibits, from the sultan’s chinaware to the spectacular Imperial Treasury (currently closed for renovation) where some of the most amazing jewelry collection in all of Europe is housed. Hint: google “Topkapi Dagger” to get a sense of the wonders kept here. The nearby Imperial Armory contains a large variety of Ottoman weaponry, notably including the fabulous swords of Sultan Suleiman the Magnificent and Sultan Mehmet the Conqueror. The most heavily visited part of Topkapi is the without question the chamber that holds relics and artifacts of both Islamic religious and historical significance. The most important of these are personal belongings of the Prophet Mohammed, as well those of his companions. I am, however, skeptical of some the other claimed relics, such as the supposed staff of Moses. Don’t take my word for it, see for yourself and make up your own mind. Also, don’t miss the harem, which requires separate admission but is well worth it. These living quarters are where the sultan’s mother, his wives, and his many concubines were confined. Highly restricted and not accessible to males other than the sultan and a few servant eunuchs, it consists of secluded courtyards, fountains and baths. Topkapi gets crowded quickly – I suggest you start your day early there to enjoy the most of it before the crowds overwhelm the experience. 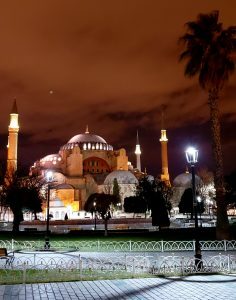 Smithsonian Magazine describes the Hagia Sophia is “a symbol of harmony, peace and tolerance.” The name means “Church of the Divine Wisdom” and, to me at least, is the grandest of Istanbul’s many spectacular sights. The original church was built in the 330s CE by Emperor Constantine to mark the Roman Empire’s conversion to Christianity. The site was chosen deliberately on top of a pagan temple, the foundations of which can still be seen. The church was greatly expanded by Justinian the Great in 537 CE. For centuries, it remained the largest cathedral ever built. 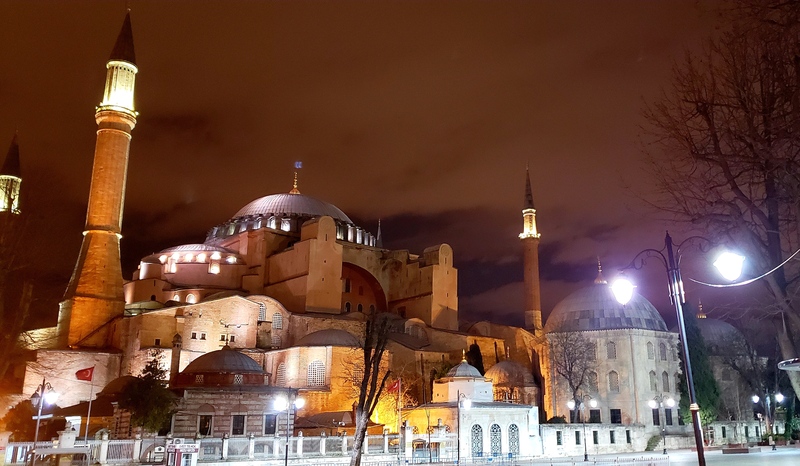 When the Ottoman Turks took over the city, rather than destroying the Christian basilica, they converted it into a mosque, adding grandiose Islamic minarets to the early Byzantine architecture and plastering over the Christian frescoes with ornate Ottoman art. Today, Hagia Sofia serves neither as a church nor a mosque but a museum that fuses both religions. Standing under the central ceiling of the cavernous hall is a breathtaking experience, causing one to marvel at the ancients’ ability to erect such glorious structures. The Turkish government has made an effort to restore some of the lost Christian frescoes while also respecting latter Ottoman additions. The result is a mix of ancient Christian and medieval Islamic art. There is simply no place like it. If you see only one site in Istanbul, this is the one. Close by the Hagia Sofia can be found the entrance to the Basilica Cisterns, a gigantic man-made cavern built to store water for the city in times of invasion and siege. Hundreds of Greek-style columns hold up the ceiling above. It was fed with water from aqueducts, the remnants of which can still be visited today. Go to the very end to see the twin heads of Medusa. If Ben Hur taught us anything, it’s that Romans were fond of chariot races. Less famous but just as large as Rome’s Circus Maximus, it held over one hundred thousand screaming and belligerent spectators who came to cheer on their favorite teams. A large plaza outlining the ancient edifice is all that remains today. It showcases three incredible sculptures: 1) the 3,500-year old Obelisk of Theodosius, built of granite with Egyptian inscriptions so perfectly carved that they appear to have been cut by lasers; 2) the 2,500-year old bronze Serpent Column, created by ancient Greeks to celebrate their victory over the invading Persians; and 3) the Walled Obelisk, that commemorates various Roman victories. It was stripped of its ornate bronze plates when the 4th Crusade sacked Constantinople. Portions of the mammoth walls of Constantinople, with their triple layer of walls and ditches, still stand. The city was considered unconquerable until the Ottoman Turks managed to do just that in 1453. Standing beneath the walls, gazing up at their massive size, one marvels at the scope of the defensive system and the invaders’ ability to defeat it. Opposite the Hagia Sofia stands the Sultanahmet Mosque, also known as The Blue Mosque. It derives its name from the blue-ish tint bestowed upon the ceiling from the many blue tiles that line its interior dome. Its multi-dome architecture is inspired by the volcanic crater of Turkey’s Mount Erciyes. It is yet another popular visit for tourists, though visiting hours are (naturally) restricted during prayer times. Five times a day, Muslims are called upon to pray. If you cannot enter the Blue Mosque during this time, relax on one of the many benches in the park out front and enjoy the beautiful song of the muezzin as he calls the faithful to prayer. Next door, one can wander through the tomb of Sultan Ahmet and his family. The interior is beautifully decorated with Arabic calligraphy, Islamic art and a ceiling bedecked with colorful mosaics. The tombs, covered with green shrouds, provide a solemn and dignified atmosphere to this beautiful chamber. All that walking can be tiresome. Take a break in one of Istanbul’s many cafes and enjoy some tavuk göğüsü, otherwise known as chicken breast pudding. Yuk, you say? No way, say I! 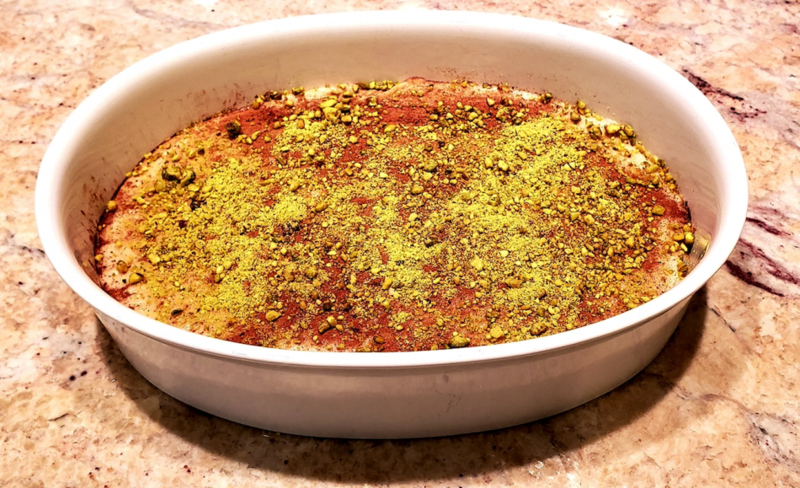 Perhaps the first food in history that does not taste like chicken, this sweet chicken dessert has practically become the symbol of Turkish cuisine and is nothing short of delicious. I beg you, don’t miss this marvelous treat. And if you simply can’t get over the fact that it contains chicken meat, then go for künefe pastry instead. Or better yet, try both! After centuries of living in the Turkish style, the sultans decided to mimic the grand palaces of Europe. Thus was created Dolmabahce. Sitting directly on the waters of the Bosporus, it was built in the mid-19th century. The intricate decor and style remind us that Istanbul is part European. Walking the palace halls and grounds, one could almost think they are walking in Budapest or Vienna. I was not kidding when I said that no city in the world successfully mixes east and west like Istanbul. I’ve never done a boat tour along the Strait myself, but have heard from others that they offer an interesting and beautiful view of the city. If you go, let me know if it’s worth it. My wife agrees this is hands down the most interesting museum we’ve ever visited. The sheer breadth and variety of ancient art housed here can be overwhelming. If you are a history buff, spend a whole day here. If only casually interested, it’s still worth spending an hour or two strolling through. My favorite display, among many favorites, are original tiles of the majestic entrance gates of the ancient city of Babylon. 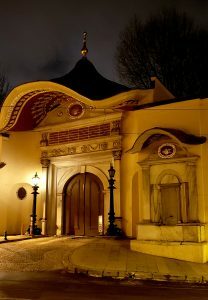 Turkish baths are famed the world over and if you have never experienced one yet, this is the perfect opportunity. There are plenty of them but if it’s your first time, I suggest one of the higher-end ones, such as the Ayasofya Hürrem Sultan Hamam. Baths are strictly gender-segregated so you don’t have to worry about modesty. Most high-end hotels will also offer their own hamams along with a western-style spa. No trip to Istanbul is complete without a stop by the Grand Bazaar, home to over 4,000 haggling merchants. Back in the day, this was the final destination for merchants traveling the Silk Route. The history and lore survive to this day. And while there are plenty of touristy trinkets to behold, it is also where most Turks go shopping. Tourists are outnumbered by locals by at least 20-1 so you know it’s legit. Just beware of those fast-talking traders. What you think is a bargain is not really a bargain. The trick is to assess the value in Turkish lira, not your own currency. Protip: always offer 80% below the merchants’ initial quoted price…. We don’t often think of Turkey as a wine region, or even alcohol in general since it’s an Islamic country. But you can get some unique varietals here, most of which are from the surrounding region. Alcohol is easily accessible at fine restaurants all over Istanbul, don’t be shy about asking for the wine menu. Whew! Feeling worn out yet by all the sightseeing? 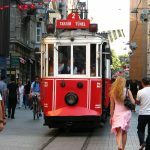 Fortunately, there are many options and categories of accommodations to choose from in Istanbul – from dingy hostels to 5-star luxury hotels, and everything in between. I stayed at the Romance Hotel, a charming boutique hotel, situated only a few minutes walk from Topkapi Palace. Besides its perfect location, it is decorated throughout with replica Ottoman art, the originals of which can be viewed at Topkapi Palace. Complete this itinerary and you’ve experienced a fraction of what Istanbul has to offer. There is more to see and discover here than one simple article could ever cover – it’s simply too complex, too rich, too glorious and too proud. “Istanbul is a vast place. There are very conservative neighborhoods, there are places that are upper class, Westernized, consuming Western culture,” says author Orhan Pamuk about his home. 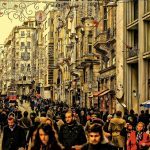 Orhan invites visitors to “explore the hidden patterns of my city’s clandestine corners, its shady, mysterious places, the things I love.” So go ahead and branch out beyond just the city core. If you’re feeling curious about the Asian side, you can hop on the ferry across the Strait to stroll through quiet residential neighborhoods. It is here, hidden in an inconspicuous alley, that I once stumbled upon a neighborhood restaurant that served among the best meals I’ve ever eaten. And at an incredibly low price at that. Check it out! Special thanks to FloTours for organizing and sponsoring this visit, and for providing a top notch local travel guide. I invite you to visit their website for custom tours to Turkey and the central Asia region.